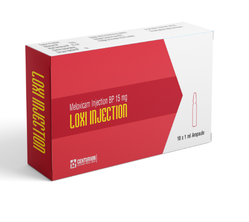 Leading Exporter of meloxicam injection bp 15mg, meloxicam tablets bp 15mg and leflunomide tablets usp from Vadodara. Meloxicam is used to treat arthritis. It reduces pain, swelling, and stiffness of the joints. Meloxicam is known as a nonsteroidal anti-inflammatory drug (NSAID).If you are treating a chronic condition such as arthritis, ask your doctor about non-drug treatments and/or using other medications to treat your pain. 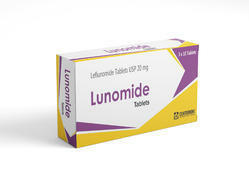 Leflunomide is an oral, disease-modifying drug that is used in the treatment of rheumatoid arthritis. Leflunomide reduces inflammation in the joints that is responsible for both the symptoms of rheumatoid arthritis and the destruction of joints.